We’re well into fall, which is a great time to reflect on emerging industry trends for the new season. Now that the hot summer trends have died down, we can start to focus on how to provide the best experience leading up to the much anticipated holiday season. Here are 5 fall trends for you to follow to stay relevant in an ever-evolving nightclub industry. Venues are beginning to realize the importance of having the right crowd in their doors. 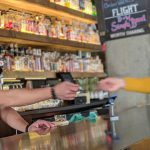 Many new articles have emerged on the subject this year with tips and tricks to help bars and nightclubs bring in the customers that align with their vibe. This all comes down to knowing who your target audience is, creating a brand, and providing messages to attract the customers you want and condition them to do exactly what you want (even if they don’t really it). Having the right crowd enhances the overall guest experience, which in turn translates to bigger spending. Having an improved door policy that goes beyond dress code and gender ratio also gauges the clientele that walks through your door and adds to the perception of your establishment. 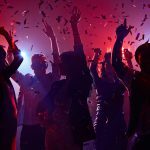 Nightclub in Bar recently published an article that stated studies show millennial aren’t frequenting nightclubs the way the proceeding Gen Y did. There are several reasons to be the case, some of which include long lines to get in and rude staff. Why not improve this for them? In fact, it’s really simple to improve when you use the right system. With a system like Vēmos, you’re able to manage every aspect of your door from one platform, including table reservations, guestlist parties, general admission, and event tickets. With this, you’re able to strategize your lines to increase your speed of night and alleviate that pain point for guests. You’re also able to collect and review important information about your customers to be able to treat them with a more personalized service. That’s two customer pain points solved with one system, plus you’ll see many operational benefits as well. There’s no doubt that events are one of the biggest way to get customers through your door. Yet, many venues still rush through the planning process and piece their events together with no strategy in place. With today’s technology, it’s easier than ever to plan ahead for your parties to start earning revenue before the event happens and to collect much-needed data about your customers and event performance. Set up a pre-sale ticketing strategy. If you don’t sell tickets, use a system to capture guest list, general admission, and table reservations. We couldn’t have said it better ourselves. 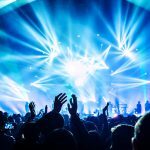 We’ve seen top nightclubs make better use of platforms that are available to streamline operations and maximize profits, and it isn’t going to slow down anytime soon. Using the right technology tool can give you better insight, increases efficiency and revenue, and ultimately leads to a better customer experience to keep them coming back for more. Summer was all about complex refreshing cocktails, such as beer cocktails and sparking wine cocktails. But now those are getting swapped out for comforting fall drinks. Spices are the name of the game this fall, featuring cocktails that include cinnamon, clove, baked apple bitters, ginger, and even cranberry sauce . All of these drinks encompass the deliciously-craved fall fruits combined with the comforting yet zesty spices that make the crisp fall that much more enjoyable.